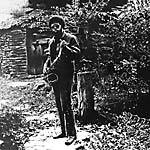 Corbett Vs. Dempsey present a reissue of Joe McPhee's The Willisau Concert, originally released on Hat Hut Records in 1976. Asked earlier this year which of his out-of-print records he'd like to see available again, multi-instrumentalist Joe McPhee's response was immediate: The Willisau Concert! Recorded at the Swiss festival that gave it its name in 1975, it appeared a year later as "Hat Hut B", the second of the new label's great letter series. It came packaged gorgeously in a double-gatefold with artist Klaus Baumgärtner's stunning pen-and-ink work on the inside and out, and a little hand-colored Swiss flag on the interior of each copy. Returning to the music, it's easy to hear why McPhee holds it so dear. He's in absolute top form on tenor and soprano saxophones, ranging from the relaxed and confident Afro-conscious feel of Nation Time (CVSD 011CD) to areas of more diffuse and textural investigation. John Snyder's analog synthesizer is brilliant and hyperbolic, a surprisingly hand-in-glove match for McPhee, not dissimilar to their collaboration on the CjR release Pieces Of Light (1974). South African drummer Makaya Ntshoko is the surprise element, a guest whose sensitivity and warmth are everywhere evident, even when he kicks the energy up a notch. Along with McPhee originals, this reissue includes a never-released bonus, their take on the classic "God Bless the Child", a total heartbreaker. The CD has been designed as a facsimile cover of the LP, respecting the beautiful and original graphic work on this classic record. 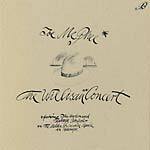 Never before available in any digital form, remastered from the original tapes, The Willisau Concert is restored to its place as one of McPhee's masterpieces. Recorded live at Willisau Jazz Festival, Switzerland, October 11, 1975. Personnel: Joe McPhee - soprano and tenor saxophone; John Snyder - analog synthesizer; Makaya Ntshoko - drums. 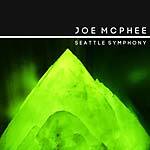 "Kye is proud to present Seattle Symphony, the new LP by Poughkeepsie's Joe McPhee. 'Seattle has become my home away from home, my second city, since first being invited to join trombonist Stuart Dempster for duets in 1984. When the opportunity for a solo concert arose, I learned of the passing of Bill Dixon and Fred Anderson and decided to make the focus of the performance a celebration of the lives, and music, of these two legendary heroes, who both passed away in June of 2010, within 8 days of each other.' 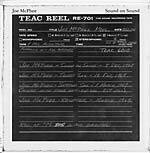 (Joe McPhee). Seattle Symphony arrives in a full color high gloss sleeve in an edition of 300 copies." 2013 repress, originally reissued in 2000. Atavistic announces a new subsidiary reissue line: The Unheard Music Series, curated by John Corbett. "Joe McPhee's solo album, Tenor literally changed my life. 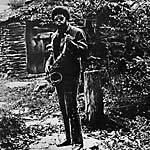 The recording (one of his first for Hat Hut, in September 1976) displayed his unique ability to integrate unconventional sounds and extended techniques with pure melodicism, and it permanently altered my perspective on what the saxophone could do and what music could be. Nation Time was recorded six years earlier, but ideas regarding the integration of means and methods were already at the forefront of McPhee's approach to improvisation. For this concert on December 12, 1970 (the other half of which was released in 1975 as the first Hat Hut LP, Black Magic Man), Joe McPhee mapped out a stylistically expansive set list, one that embraced methods as diverse as those developed by New Thing-era Archie Shepp, late 60s Sun Ra and Art Ensemble of Chicago, Grant Green, Cecil Taylor (Candid period), & Sonny Rollins. 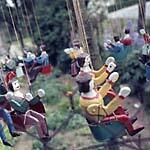 He and his band, through vision and work, made these various approaches their own. This set represents real 'free jazz' -- the freedom to pursue the sounds and rhythms that inspire players to improvise with individual vitality and passion, no matter what different kinds of music are represented." -- Ken Vandermark.